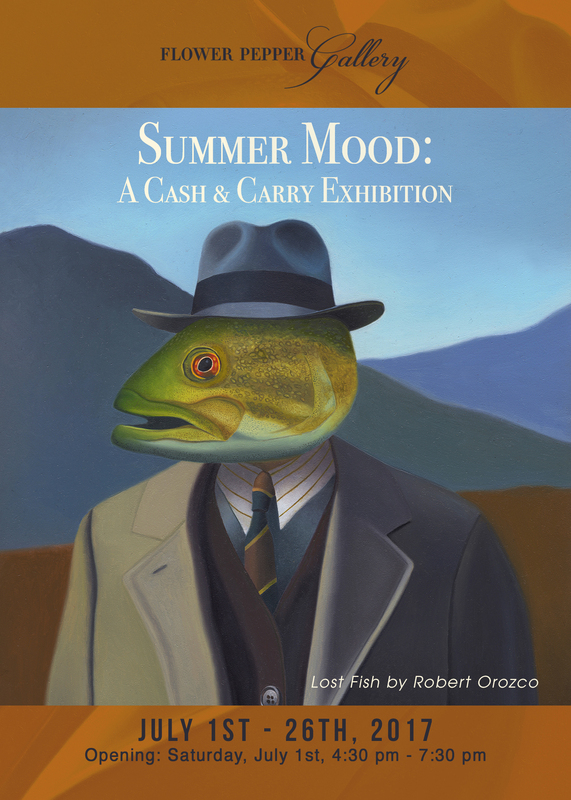 On Saturday, July 1st, Flower Pepper Gallery is pleased to present, Summer Mood: A Cash & Carry Exhibition featuring the work of incredible artists both near and far. The season of Summer is a time of joy and growth. A time when bustling days turn into warm sleepy nights and our minds wander between daydreams and adventure. This exhibition is a collection of those dreams as each unique piece beckons the viewer to pause and be enchanted. From Virginie Mazureau’s adorably whimsical The Sleepy Nest from the wonderlands, to David Natale’s discovery of the Ring-Tailed Clover Mouse, there is no end to the delights to be found and collected. Additionally, fans of Amy Van Gilder and Yetis & Friends will be quite pleased to see their upcoming Special Window Installations brighten the streets of Old Pasadena once again! Overall, this exhibition is an amazing opportunity for both new and veteran collectors to experience fresh and exciting work from emerging and established artists. Surrounded by works like these you can’t help but get in the Summer Mood. But be sure to be quick, as the nature of Cash & Carry means that nothing is guaranteed to stay on the wall for long! The reception is open to the public and on view until July 26th, 2017.